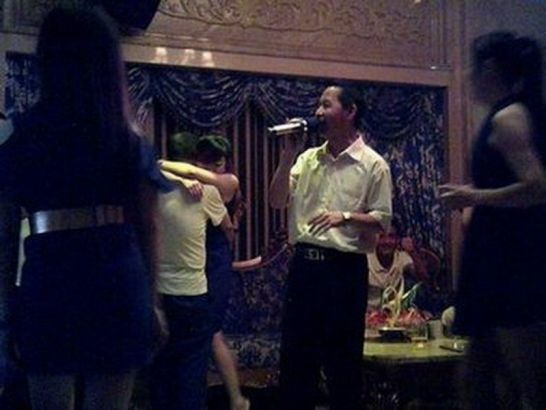 A set of 26 photos were uploaded online in a BBS thread named “Enviable night life of Mr.Lin, deputy head of the housing administration bureau of Jin’an district, Fuzhou city” on 1:41 am December 16. 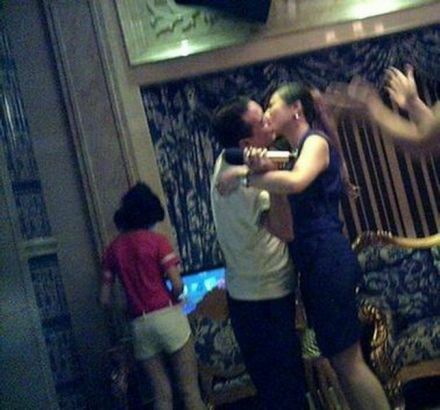 The photos show that a man kisses and touches several young women, seemingly in a night club, with the microphone in their hands. 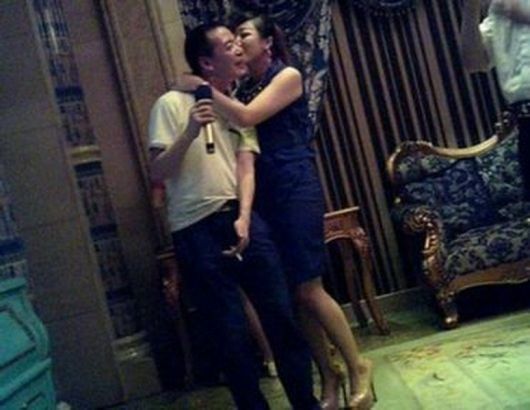 The man in the photos has been confirmed to be Lin Zonghui, deputy director at the Jin’an housing administration bureau of Fuzhou city, Fujian province, according to the organization’s disciplinary secretary Zhang Zhongming. Zhang said Lin has been in charge of property management, who received good evaluation results since taking the position in 2013. Zhang denied he knew anything about the pictures. 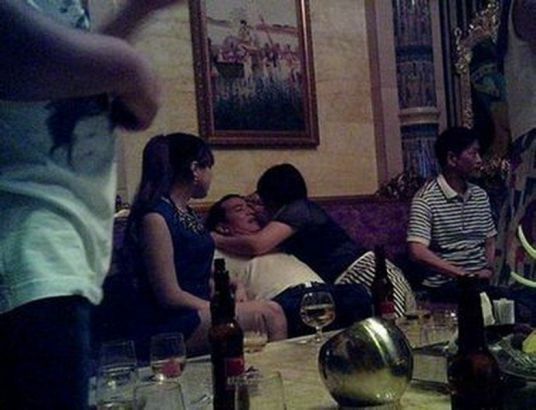 The protagonist Lin, in his office of deputy director, told the press this was totally office politics. 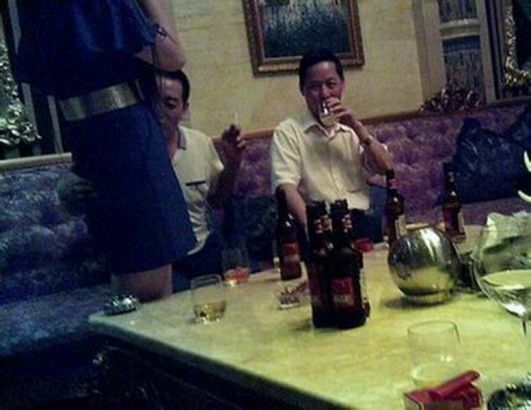 “This is all schemed and plotted by our secretary (of the party committee),” said Lin Zonghui. It happened around June last year, Lin recalled being invited to a dinner by a man from Sanming (a nearby city) and another man from Jiangxi province. He remembered being drunk on the dinner table and was taken to the night club. “I was so drunk, totally unconscious. I don’t remember anything about what was going on,” Lin said. When he woke up there was nobody in the room but himself. He even paid the whole cost, which was more than 10,000 yuan ($1,587). However, since then he had been constantly threatened with those photos. “Even the secretary of party committee blackmailed me,” Lin said, and he'd been frequently thinking about quitting the job. Lin told the reporters he had planned to call the police but was too busy to do so. “I’ll call the police now, hoping they would undergo a fair investigation about this,” Lin left the office with no more comments. A hanging board outside the secretary of the party committee’s office writes that he had been visiting the rural areas.